Tom Sutcliffe and his guests comedian Natalie Haynes, academic John Mullan and musician Pat Kane review the cultural highlights of the week including The Hour. Tom Sutcliffe and his guests comedian Natalie Haynes, academic John Mullan and musician Pat Kane review the cultural highlights of the week. 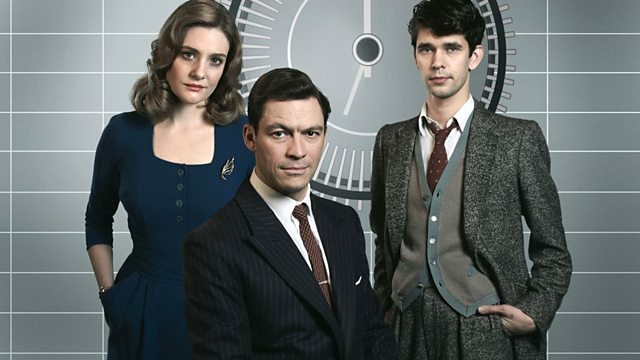 The Hour is a BBC2 six-part drama, by Abi Morgan, which takes viewers behind the scenes of the launch of a topical news programme in London during the Suez Crisis and Cold War espionage of 1956. Starring Dominic West, Romala Garai and Ben Wishaw. Cell 211, directed by Daniel Monzon, has won eight Goya Awards - Spain's equivalent of the Oscars. The film features two sides of a prison riot, told by an inmate and a guard who pretends to be a prisoner in a desperate attempt to survive the ordeal. Lay Me Down Softly is Billy Roche's new humorous yet melancholy play set in Ireland in the 60s. We join Delaney's Travelling Road show and in particular its boxing hall, where prize fighter Dean takes on all comers on a nightly basis. That is until a challenge from a professional fighter upsets the apple-cart. The Life is the latest novel by Australian author Malcolm Knox. It features a champion surfer recalling his glory days on the water and wondering whether he can get to ride the waves again. Jake or Dinos Chapman is the title of the latest exhibition by the Brit Art brothers, who, for the past year, have been working in separate studios. Only in the staging of the show will each become aware of what the other has been creating.